Are you looking for the best wireless gaming mouse? 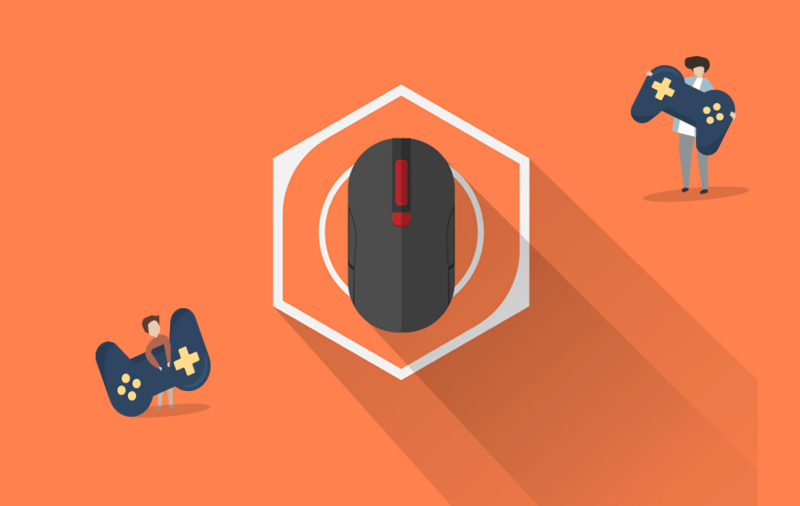 Mouse quality and features are very essentials when choosing a wireless gaming mouse. For that great gaming experience, you need a mouse with super quality functionalities to help you with performance. The best wireless gaming mouse should be having a long living battery, high speed during gaming, easily accessible buttons, high-quality sensors as well as minimum weight among other many features to put into consideration. In this article, we have covered the 5 high-end wireless gaming mouse you can invest in without any regret in the future. The discussed mouse in this article is of high quality and the best you can get in the market. The Logitech G602 is one of the best wireless gaming mouses available in the market. The mouse has long life batteries as well as vast of combined numerous functionalities. 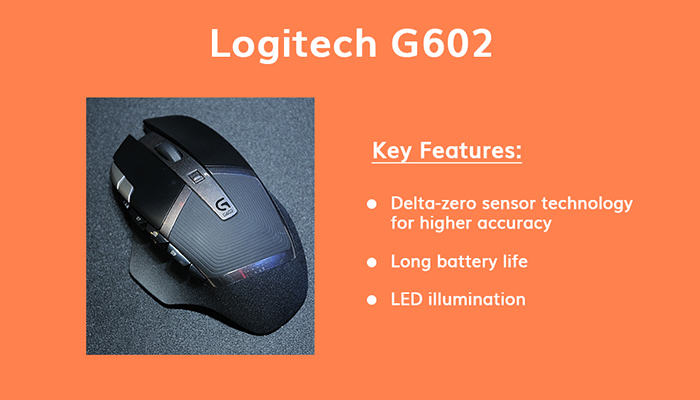 The high-performance wireless gaming mouse delta-zero sensor technology guarantees accuracy when playing. With this mouse, you are going to get high-class performance. It’s equipped with a 2.4GHZ connection and uses a complete bandwidth of USB nano-receiver. Also, it features LED illumination that provides sufficient light when required. This is another popular wireless gaming mouse you can comfortably invest in. It has excellent design and features. 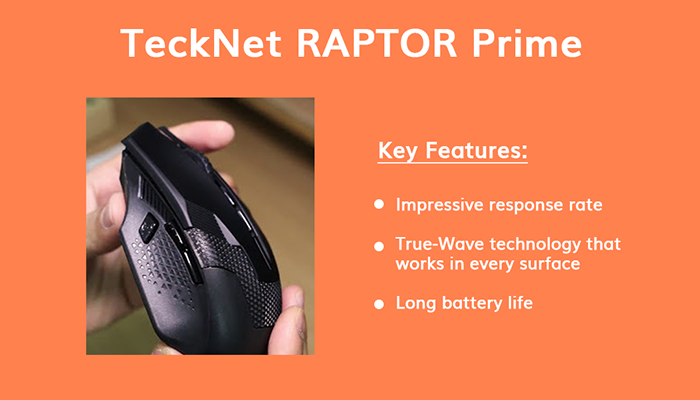 This high-end wireless gaming mouse dominates in comfort and longevity as well as top-grade polling rate of up to 1000Hz that provides almost a 1-millisecond response. The manufacturer uses 2.4 GHz wireless connection so as to enhance faster data transfer with small latency. It's also equipped with Pixart ADNS 9800 laser sensor to enable CPI to increase up to 8200. The mouse is durable it has the ability of 30 million clicks lacking any effect on function and has a steep ascent around the wheel for scrolling. The gaming mouse has a traditional shape for better comfort and will help you to experience the best games. The Razer Mamba is one of the best wireless gaming mouse brands. The mouse is equipped with high-precision 5G laser sensor with 16.000 dpi that completely delivers precision of 0.1 milliliters. The user of razor mamba can switch between various force levels to for actuation so as to make a personalized clicking feedback- either lower for fast shooting or high for snipping. 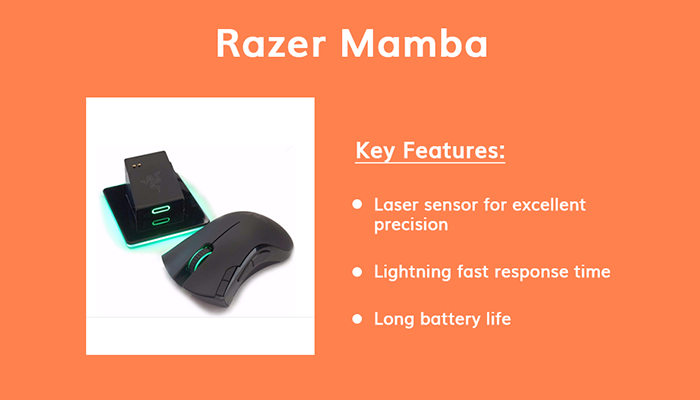 The Mamba has a 1 millisecond response time which offers no room for noticeable lag and can function in both wirelesses as well as wired technology. The Razor comes with programmable buttons equipped with very light sensitivity modification. Also included on it is a dock for charging and its battery can last at least 20 hours when working continuously. Last but not the least; it has some lighting for an extra pleasing aesthetic which enables gaming flow in almost everywhere. It’s also most liked due to its longevity. This is a precious and a high-performance wireless gaming mouse. 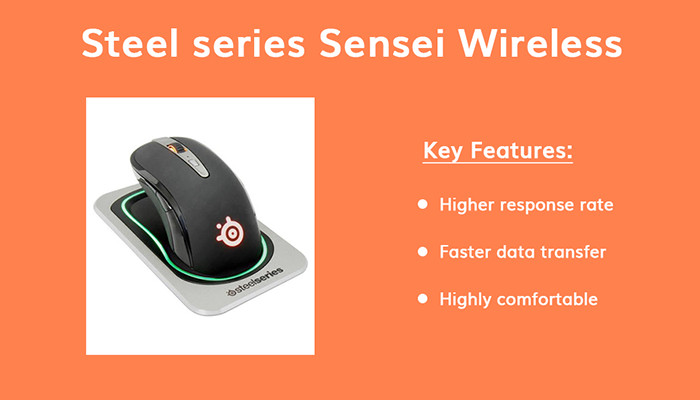 It’s a sleek mouse with a 2.4GHz wireless connection that ensures smooth delivery of the pretty response. The mouse has a true-Wave technology that enables full cursor control regardless of the surface available. The RAPTOR is well equipped with Co-Link technology that enhances pairing. Offers various cursor speeds to select from with their mouse also in place is auto power off function that will give the battery a long life. It has the battery indicator thus doing away with the possibility of being in the dark. 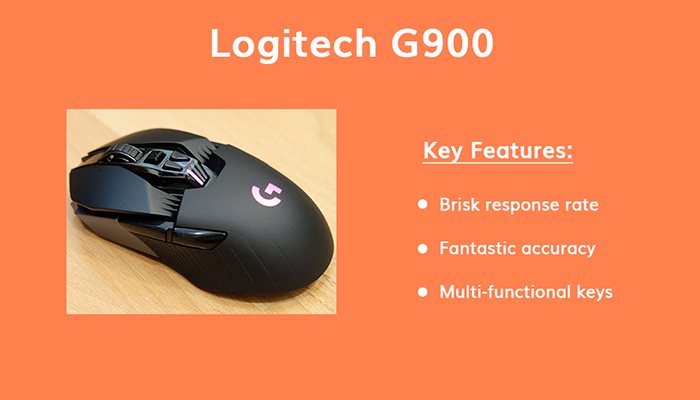 Logitech G900 model is among the best wireless gaming mouse to appear in our list. It has a connection of 2.4 GHz that assures delivery of the 2-millisecond response. To make its speed more amazing, it’s equipped with a PMW3366 optical sensor which indicator avoiding any kind of filtering, smoothing as well as acceleration over complete DPI range from 200 to 12.00 and ensures the accuracy of tracking as well as a continuous response for all speed. It’s a lightweight mouse. To enhance more comfortability over prolonged gaming time, and the button can be completely be configured as the customer desires. The mouse design is ambidextrous, thus making both the left handed or right handed user to enjoy using it. This mouse is one of the best wireless gaming mouses available on the market. Selecting a perfect wireless gaming mouse is not a simple task since there are many things we need to put in place. However, with the above guideline, it will never be hard anymore to pick the best gaming console. The mouses discussed above are among the best wireless gaming mouses that will never frustrate you as you enjoy that your interesting game. Why hesitates to get yours? Purchase one to experience its great features and you will thank me later.